The Dabuyid or Gaubarid Dynasty was a Zoroastrian  Iranian dynasty that started in the early seventh century as an independent group of rulers, reigning over Tabaristan and parts of western Khorasan. Dabuyid rule over Tabaristan and Khorasan lasted from ca. AD 642 to the Abbasid conquest in 760. Tabaristan, also known as Tapuria, was the name applied to Mazandaran, a province in northern Iran. Although the natives of the region knew it as Mazandaran, the region was called Tabaristan from the Arab conquests to the Seljuk period. The family's early history is semi-mythical, and recorded by the later historian Ibn Isfandiyar. According to this story, the Dabuyids were descended from a brother of the Sassanid shah Kavadh I. His grandson Firuz conquered Gilan, and Firuz's grandson Gil, surnamed Gavbara, then extended the family's rule over Tabaristan as well. This led to the formal conferment of the titles of Gil-Gilan ("ruler of Gilan") and Padashwargarshah ("Shah of Patashwargar", the old name of Tabaristan's mountains), to Gil's son Dabuya or Daboe, by the last Sassanid shah, Yazdegerd III. Following the Muslim conquest of Persia the Dabuyids established their domain as a quasi-independent principality, owing only nominal allegiance to the Arab Caliphate. In addition to the titles granted by Yazdegerd, the Dabuyid rulers also bore the old Iranian military rank of ispahbadh as their regnal title. Padishkhwārgar was a Sasanian province in Late Antiquity, which almost corresponded to the present-day provinces of Mazandaran and Gilan. The province bordered Adurbadagan and Balasagan in the west, Gurgan in the east, and Spahan in south. The main cities of the province was Amol and Rasht. The first documented ruler of the Dabuyid line, however, is Farrukhan the Great, who repelled a great Muslim invasion under Yazid ibn al-Muhallab in 716–717, and who may in reality be the true founder of Dabuyid rule in Tabaristan; more recent research places his assumption of power there in the 670s instead of the early 710s, as hitherto assumed. Farrokhan died in 728, and was succeeded by his son, Dadmihr. Little is known of his reign, and he died at an early age in 740/741. His son and successor, Khurshid, was still a boy, and his uncle Farrukhan the Little ruled as regent for seven years. Khurshid ruled a prosperous state, and tried repeatedly, though without success, to break his ties to the Caliphate, exploiting the turmoil of the final years of the Umayyads and of the Abbasid Revolution. These attempts led to a large-scale invasion of Tabaristan in 759, forcing Khurshid to seek refuge in Gilan, where he poisoned himself in 761. Farrukhan the Great was the independent ruler (ispahbadh) of Tabaristan in the early 8th century, until his death in 728. He is the first actually attested member of the Dabuyid dynasty, which is traditionally held to have ruled Tabaristan since the time of the Muslim conquest of Persia. He maintained his independence against the attacks of the Umayyad Caliphate, and was succeeded by his eldest son, Dadhburzmihr. Yazid ibn al-Muhallab (672–720) was a provincial governor in the time of the Umayyad dynasty and the progenitor of the Muhallabid family that became important in early Abbasid times. Khurshid, erroneously designated Khurshid II by earlier scholars, was the last Dabuyid ispahbadh of Tabaristan. He succeeded to the throne at an early age, and was supervised by his uncle as regent until he reached the age of fourteen. Khurshid tried to assert his independence from his vassalage to the Caliphate, supported various rebellions and maintained diplomatic contacts with Tang China. Finally, the Abbasids conquered his country in 759–760, and captured most members of his family. Khurshid fled to Daylam, where he ended his life. Gil Gavbara, known in Arabic sources as Jil-i Jilanshah and Gavbarih, was king and founder of the Dabuyid dynasty in 642, ruling until his death in 660. Dabuya or Dabuyih, was the Dabuyid ruler (ispahbadh) of Tabaristan. He succeeded his father Gil Gavbara in 660 and reigned until his death in 712. His son, Farrukhan the Great succeeded him. Dadhburzmihr or Dadmihr was the independent ruler (ispahbadh) of Tabaristan. He succeeded his father Farrukhan the Great in 728 and reigned until his death in 740/741. His 6 year old son, Khurshid succeeded him. Sunpadh was an Iranian nobleman from the House of Karen, who incited an uprising against the Abbasid Caliphate in the 8th century. Jamasp was a Sasanian king who ruled from 496 to 498. He was the younger brother of king Kavad I and was installed on the Sasanian throne upon the deposition of the latter by members of the nobility. Mazyar, was an Iranian prince from the Qarinvand dynasty, who was the ruler (ispahbadh) of the mountainous region of Tabaristan from 825/6 to 839. For his resistance to the Abbasid Caliphate, Mazyar is considered one of the national heroes of Iran by twentieth-century Iranian nationalist historiography. His name means "protected by the yazata of the moon". The Bavand dynasty, or simply the Bavandids, was an Iranian dynasty that ruled in parts of Tabaristan (Mazandaran) in what is now northern Iran from 651 until 1349, alternating between outright independence and submission as vassals to more powerful regional rulers. Fuman is the capital of Fuman County in Gilan Province, Iran. At to the 2006 census, its population was 27,763 in 7,728 families. Farrukhan the Little, also surnamed the Deaf (Korbali), was a member of the Dabuyid dynasty, which ruled Tabaristan as independent monarchs in the century after the Muslim conquest of Persia. The brother of the ispahbadh Dadhburzmihr, Farrukhan governed Tabaristan between 740/41 and 747/48 as regent for his underage nephew, Khurshid. The Paduspanids or Baduspanids were a local dynasty of Tabaristan which ruled over Royan, Nur and Rostamdar. The dynasty was established in 655, and ended in 1598 when the Safavids invaded their domains. Sharwin I was the fifth ruler of the Bavand dynasty from 772 to 817. He was the son and successor of Surkhab II. Surkhab II was the fourth ruler of the Bavand dynasty from 755 to 772. In 760, his overlord, the Dabuyids, under Khurshid of Tabaristan, revolted against the Abbasid Caliphate. Khurshid, was, however, defeated, and fled to Daylam, where he made a counterattack against the Abbasids, but was once again defeated. After learning that his family was captured by the Abbasids, Khurshid poisoned himself. This marked the end of the Dabuyid dynasty, however, other dynasties such as the Bavandids, Karenids and Zarmihrids, who were all formerly subject to the Dabuyids, continued to control parts of Tabaristan as tributary vassals of the Abbasid government. Surkhab II died in 772, and was succeeded by his son Sharwin I, who would later along with the rulers of Tabaristan revolt against the Abbasids and massacre all the Muslims in Tabaristan. Vindadhhurmuzd, also known by the more correct form of Vandad Hormozd, was the ruler of the Qarinvand dynasty from 765 to 809. Wuzurgan, also known by its Modern Persian form of Bozorgan (بزرگان), was the third class-rank of the four or five types of the Sasanian aristocracy. After the fall of the Sasanian Empire, they reappear under the Dabuyid dynasty. 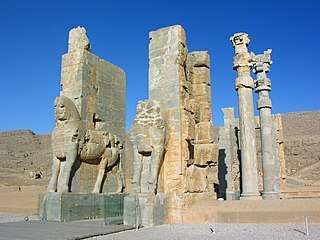 The Qarinvand dynasty, or simply the Karinids or Qarinids, was an Iranian dynasty that ruled in parts of Tabaristan (Mazandaran) in what is now northern Iran from the 550s until the 11th-century. They considered themselves as the inheritors of the Dabuyid dynasty, and were known by their titles of Gilgilan and Ispahbadh. They were descended from Sukhra, a Parthian nobleman from the House of Karen, who was the de facto ruler of the Sasanian Empire from 484 to 493. ↑ Bazin, Marcel (2000). "FŪMAN". Encyclopaedia Iranica, Vol. X, Fasc. 3. pp. 227–228. ↑ C.E. Bosworth, The New Islamic Dynasties, (Columbia University Press, 1996), 162; "Hence in 758 the caliph undertook the definitive conquest of Tabaristan, successfully drove out Khurshid II and ended the dynasty of the Dabuyids(who, as Zoroastrians, had never accepted Islam..". Inostranzev, M. (1918) Iranian Influence on Moslem Literature – Appendix I: Independent Zoroastrian Princes of Tabaristan . Madelung, Wilferd (1993). "DABUYIDS". In Yarshater, Ehsan. Encyclopaedia Iranica, Vol. VI, Fasc. 5. London u.a. : Routledge & Kegan Paul. pp. 541–544. 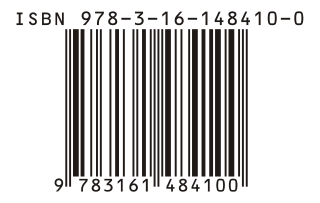 ISBN 1-56859-007-5. Wilferd Ferdinand Madelung is a scholar of Islam. He was born in Stuttgart, Germany, where he completed his early education at Eberhard-Ludwigs-Gymnasium. Wikimedia Commons has media related to Dabuyid dynasty .